Location: About 4 km south of Kerava quite near Keinukallio Ski centre. Presumably the first stash in Finland ! Thanks to SlashDot that I found this very interesting site / sport. 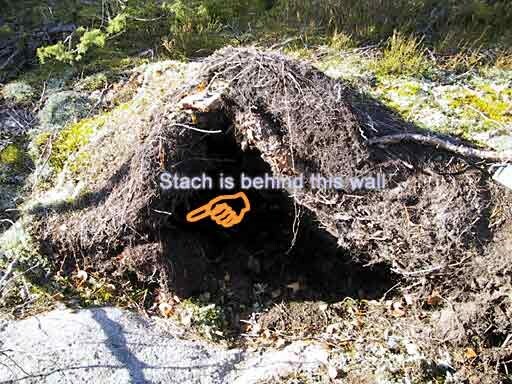 The stash is located under the root of a fallen tree in woods bit over 1 km south from Keinukallio ski centre. It should be quite easy (2/2) to find with picture clues and co-ordinates. There is path passing about 50 m from the stash. 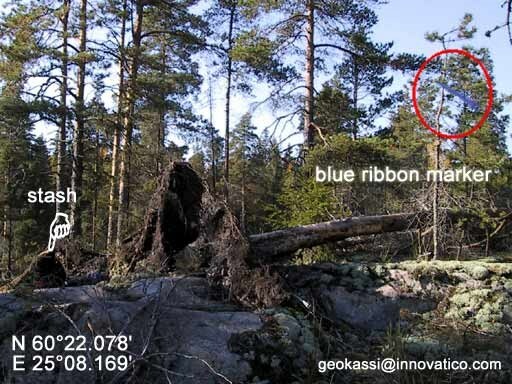 Stash is marked with blue paper ribbon attached in nearby small tree. See pictures for more clues. Position information should be very good. 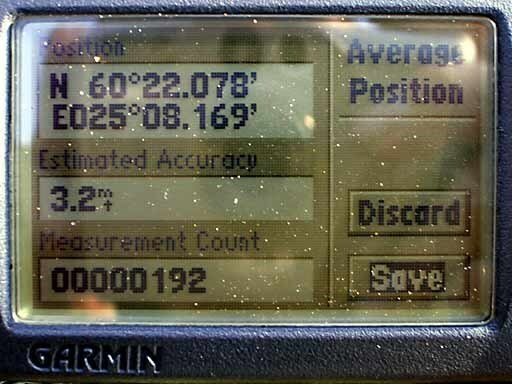 My Garmin III+ claims averaged position accuracy to be 3.2m ( see photo below). I would be happy to hear from you if you find the stash. Stash is now easy to access but when the snow comes, I would guess that it will be very difficult to access during January-March depending how much snow there will be on the top of the cliff I put the stash.